Both Chanda Kochhar and ICICI bank have maintained there has been no regulatory violation on their part and that Kochhar was not aware of specific business dealings of her husband. ICICI Bank is in talks with the Securities and Exchange Board of India (Sebi) to settle alleged regulatory lapses involving its managing director and chief executive officer Chanda Kochhar, Videocon group and NuPower Renewables, a company run by Chanda Kochhar’s husband Deepak Kochhar, through the consent mechanism, chairman of the capital market regulator Ajay Tyagi said on Tuesday. Under the consent settlement process, an entity facing a probe by Sebi is subjected to certain fees and restrictions without admission or denial of alleged irregularities and the regulator thereafter drops its charges and investigations with a caveat that all disclosures made to it are correct. HERE IS THE INDIAN EXPRESS INVESTIGATION THAT UNEARTHED THE CONFLICT OF INTEREST. Tyagi said the regulator has received the reply of the bank to its show-cause notice with respect to a probe into alleged lapses in disclosure norms by Kochhar under the securities law. Sebi had issued notices to ICICI Bank and Chanda Kochhar on May 24, 2018 under Rule 4 (1) of SCR (Procedure for Holding Inquiry and Imposing Penalties by Adjudication Officer) Rules 2005 seeking responses on matter relating to alleged non-compliance with certain provisions of the erstwhile Listing Agreement and the Sebi (Listing Obligations and Disclosure Requirements) Regulations, 2015. Both Kochhar and the bank have maintained there has been no regulatory violation on their part and that Kochhar was not aware of specific business dealings of her husband. 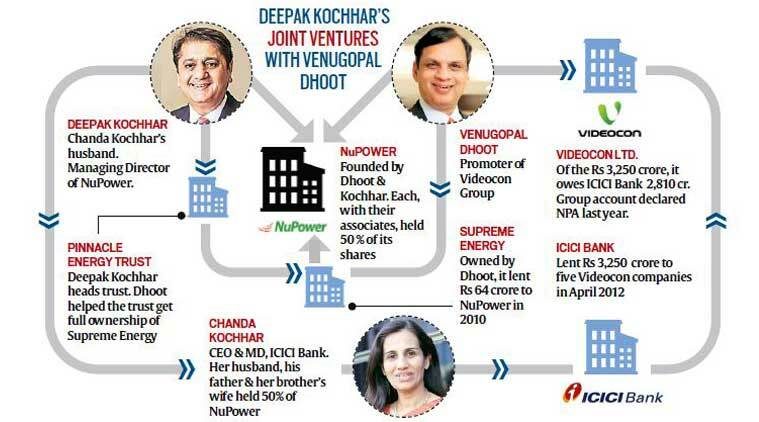 As first reported by The Indian Express on March 29, Videocon group promoter Venugopal Dhoot provided crores to NuPower Renewables Pvt Ltd (NRPL), a firm he had set up with Deepak Kochhar and two relatives six months after the Videocon group got Rs 3,250 crore as loan from ICICI Bank in 2012. He transferred proprietorship of the company to a trust owned by Deepak Kochhar for Rs 9 lakh, six months after he received the loan from ICICI Bank. Almost 86 per cent of the Rs 3,250 crore loan (Rs 2,810 crore) remains unpaid. The Videocon account was declared an NPA in 2017. 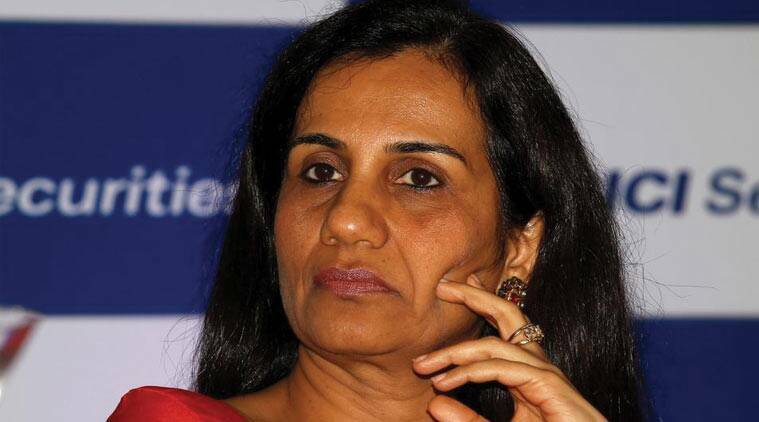 Chanda Kochhar is currently on leave after ICICI Bank decided to probe allegations of conflict of interest and quid pro quo against her while dealing with certain customers/borrowers of the bank including Videocon. An independent investigation by a panel headed by former Supreme Court Judge Justice B N Srikrishna is looking into allegations against Kochhar. Sebi may start personal hearings in the case as a part of its adjudication process. Chanda Kochhar, her husband and Venugopal Dhoot-promoted Videocon Group have also come under the scanner of multiple investigating agencies such as the CBI, IT and SFIO for alleged “quid pro quo and conflict of interest”.